When your water heater malfunctions or fails entirely, it’s more than an inconvenience. Hot water heater problems disrupt your home’s productivity and may be a health and safety hazard. Whether your water heater has outperformed its useful life or just requires a minor repair, Elek’s Lehigh Valley plumbers offer expert guidance for all water heater brands and models, including Bradford White and Rinnai. If there is a scald risk or you’re facing an uninviting cold shower, it’s time to call in a plumbing specialist. Our Allentown plumbers provide fast, reliable repairs for thermostats and heating elements, tank and drain leaks, electric wiring or gas power issues, sediment buildup and more. Once your water heater is up and running again, it’s wise to protect your investment with an affordable plumbing service maintenance agreement. Elek maintenance plan members get more life out of their hot water system while enjoying priority service at discounted rates. Ask us about the benefits of regular water heater inspections and tune-ups! No matter what type of water heater you own, it should provide enough hot water for your home’s peak usage without inflating your utility bill. Most household water heaters are conventional tank heaters (also called storage water heaters). These appliances heat incoming water from your home’s plumbing system and store it in a large, insulated tank for future use. Storage water heaters use gas or electric energy at a relatively slow rate, and new models are especially efficient. 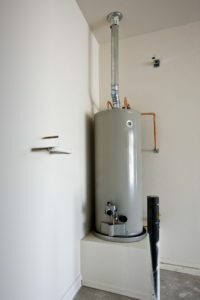 If a tankless water heater is cost prohibitive or your home demands large volumes of hot water, a large storage water heater may be the better option. Ask the Elek SuperSTARS about tank versus tankless models—or request an in-home consultation by calling 610.432.7001 today. Elek Plumbing SuperSTARS are proud to provide comprehensive on-site estimates for water heater installations. Serving Allentown, Bethlehem, Easton and surrounding areas, our Lehigh Valley plumbers restore your water heater’s functionality and recommend repairs or upgrades that meet your comfort, budget, and energy objectives. And, if your water heater fails when you need it most, Elek’s licensed technicians are available 24/7/365 to respond to your needs. Call 610.432.7001 now or schedule emergency water heater repairs using our confidential online form.